This article concerns itself with print novels and anthologies only. Additional novels, novellas and short stories which have been published in electronic format do not fall under this article's purview. A multitude of print novels have been published for the BattleTech universe since 1986, fleshing out the universe, establishing and continuing an ongoing timeline, and occasionally detailing the distant past of the fictional universe. Originally published directly by FASA, BattleTech's initial developer, the novels have been published by Roc Books since 1991. In 2004, InMediaRes launched BattleCorps, a subscription based website dedicated to publishing new BattleTech fiction. Through their Catalyst Game Labs imprint they have published print anthologies of BattleCorps short stories as well as other publications with BattleTech short stories. BattleCorps has (re-)published most print novels in PDF format, although they typically contain a disclaimer stating that the PDF was created from a pre-final draft and that canon-wise, the print edition takes precedence in case of any differences between editions. The novels published by Roc (and previously, FASA) in the United States are fully canonical, as are the IMR/CGL publications. BattleTech books have been translated into (at least) fifteen languages. Several original foreign language BattleTech novels were written in German, but were not translated into English so far. As foreign-language publications, they do not meet the current criteria for Canon. The first twelve BattleTech novels which were published directly by FASA are often considered the bedrock of the universe. They portray the "classic" era set around the year 3025 (the late Succession Wars era) up until the beginning the Clan Invasion era. On Trell I, Carlyle's Commandos, the House Steiner garrison, are destroyed in a sneak attack by Oberon Confederation forces that were supposed to reinforce the garrison. The Draconis Combine's "Red Duke" Hassid Ricol is revealed to be behind the plot, attempting to gain control of Trell I. Grayson Death Carlyle, the commander's son, must help the people of Trell throw off the invading forces while trying to live up to his father's legacy. Ardan Sortek stumbles upon a plot to replace Hanse Davion, First Prince of the Federated Suns, with a double under the control of Maximilian Liao, Chancellor of the Capellan Confederation and sworn enemy of the Davion family. The fledgling Gray Death Legion mercenary unit, formed in the fighting on Trell I and desperate for money, takes on their first mercenary contract: train the rebellious people of Verthandi to fight their Draconis Combine overlords. Outlawed for an atrocious war crime that they did not commit, the Gray Death Legion find that they unknowingly held the key to an immeasurably valuable treasure for which they are now hunted—a fully functional Star League era library, the Helm Memory Core. False accusations and a sham trial exile Justin Xiang Allard from the Federated Suns. The resourceful Warrior finds a new home in the Capellan Confederation. Meanwhile, someone has kidnapped Melissa Steiner, heir to the throne of the Lyran Commonwealth and betrothed of Hanse Davion, First Prince of the Federated Suns. Daniel Allard and the Kell Hounds mercenary unit must face a foe from their past to rescue her. On the eve of his wedding to Melissa Steiner, Hanse Davion declares war on the Capellan Confederation, launching the Fourth Succession War. The renewed war also fans the flames of the feud between the Kell Hounds and Yorinaga Kurita. The famous Wolf's Dragoons mercenaries become the target of a plot by an ambitious and devious Draconis Combine Warlord to control them permanently. Their liaison with the Combine, Minobu Tetsuhara, is an honest man and a friend to the Dragoons' leader, Colonel Jaime Wolf, and is caught between duty and friendship as war looms. The Capellan Confederation, weakened from within by treason and a Davion agent, is shattered in the Fourth Succession War while the Kell Hounds prepare for a final showdown with Yorinaga Kurita. Theodore Kurita, only son of the Draconis Combine's reigning Coordinator Takashi Kurita, has grandiose ideas about the future of his nation but he is hindered by his father's conservative nature and fear of change, and must prove himself on the battlefield as well as the treacherous waters of the Combine court. Two decades after the Fourth Succession War that forever altered the balance of power in the Inner Sphere, a new generation of leaders faces an entirely new threat: Mysterious invaders from beyond the Periphery threaten everything they know and love. The invading Clans have been stopped temporarily, but old prejudices and hatreds still stand in the way of a cooperative Inner Sphere defense. Luthien, capital world of the Draconis Combine, may fall, a risk the Inner Sphere cannot afford to take. Despite some small victories, the Inner Sphere seems helpless to stop the renewed onslaught of the Clan juggernaut. At this time of greatest need, ComStar steps forward to fulfill their destiny as the saviors of humanity and reveals a hidden army that will duel with the Clans in a proxy fight for Terra on the backwater world of Tukayyid—the cataclysmic Battle of Tukayyid. Published by FASA as part of their line of BattleTech sourcebooks and game supplements (instead of novel format), the Shrapnel anthology contains a number of standalone short stories including a Gray Death Legion story by William H. Keith, Jr. and a story about Kell Hounds co-founder Patrick Kell by Michael A. Stackpole. In 1991, Roc Books took over the ongoing novel line from FASA. They later also launched the "MechWarrior" and "MechWarrior: Dark Age" novel lines. Roc Books continued the FASA line of "BattleTech" novels and also reprinted all FASA novels (save for The Sword and the Dagger, which was written under a different contract from all others) with new cover art. This classic line of BattleTech books was concluded with novel #56, Endgame, in 2004, and Roc Books voiced no interest in continuing the classic line beyond that point. Trueborn to Clan Jade Falcon, Cadet Aidan aspires to become a Warrior and contribute his genetic material to his Clan's breeding program. But sibko training is harsh and unforgiving. Aidan only managed to attain Warrior status through unconventional means and under the assumed identity of freeborn Warrior Jorge. Though this should preclude him from ever earning a bloodname, he gets a chance to set his record straight. Considered a pariah among his own Clan for his unconventional career, Star Colonel Aidan Pryde gets one last shot at redemption in the Battle of Tukayyid. Over the course of half a century, Wolf's Dragoons have evolved from a fabulously successful mercenary unit into something resembling a small nation—too big to maintain coherence among their various subfactions. Torn between their Clan and Inner Sphere origins, they find themselves in what amounts to a civil war when an ambitious faction attempts a coup against Jaime Wolf. A marauding band of raiders equipped with Clan weaponry crosses borders into the Inner Sphere and threatens to undo the Truce of Tukayyid. To contain the threat, Archon-Prince Designate Victor Steiner-Davion and Khan Phelan Ward of Clan Wolf must cooperate despite their differences. The assassination of Melissa Steiner-Davion adds to the overall tension. Decision at Thunder Rift, reprint. Published September 1992. Mercenary's Star, reprint. Published November 1992. The Price of Glory, reprint. Published January 1993. After the Word of Blake sect was allowed to settle on the Free Worlds League planet of Gibson, they end up embroiled in a guerrilla war against local forces. Alarmed, Thomas Marik sends Sir Paul Masters of the Knights of the Inner Sphere to Gibson to evaluate the situation—and Masters finds many more factions active on Gibson than expected, deadlocked in a bloody, dirty and utterly chaotic guerrilla war. Hired for garrison duty on Borghese, the newly-minted Black Thorns mercenary company finds themselves fighting both Clan Jade Falcon invaders and a political movement that wants to surrender the planet. While most of the unit's senior leaders and combat assets are off-planet, secessionists attack the Gray Death Legion on Glengarry in the opening moves of the Second Skye Rebellion, foreshadowing the FedCom Civil War. Led by Alexander Carlyle, a new generation steps up to defend their parents' legacy. Kai Allard-Liao has returned to Solaris VII, the world that made his father famous. But being the Gaming World's champion is the least of his worries as conflicts abound, from the arrival of a former lover to the assassination plot of a political leader. A Draconis Elite Strike Team, accompanied by a small mercenary group, are stranded in an unknown star system by a misjump with no contact to the rest of humanity. They make landfall on a planet with intelligent flightless birds and find that another group of humans who stranded here five centuries earlier has taken to enslaving the birds and established nations that now wage war on each other. Having proven themselves a capable unit and equipped with captured Clan technology from Borghese, the Black Thorns accept a contract to Wolcott, the Draconis Combine's staging point behind the Clan lines, and from there embark on a deep strike mission against the Clan-held system of Courchevel. Hired to provide protection for Chandrasekhar Kurita's business holdings on Hachiman, Camacho's Caballeros and Cassie Suthorn begin to feel out a plot to take down the high-ranking noble. When an alliance between his foes threatens Chandrasekhar's interests, Cassie and the Caballeros face a tough battle between their friends in the Ninth Ghost Regiment and Ninyu Kerai Indrahar, the spymaster manipulating the whole conflict. Victor Steiner-Davion's Federated Commonwealth badly needs the war material that is provided by the Free Worlds League in exchange for treating Joshua Marik, the Captain-General's dying son, for leukemia. When the boy dies, he is replaced with a double, but the ruse is discovered with disastrous consequences: Houses Marik and Liao use the deception as a pretext to invade the Federated Commonwealth, and Victor's treacherous sister uses the opportunity to tear it apart and secure the Lyran Alliance for herself. Meanwhile, the Refusal War pits two entire Clans, the Jade Falcons and the Wolves, against each other in a fight to the death. For aging and frustrated Star Commander Joanna, the Refusal War between Clan Jade Falcon and Clan Wolf is her last chance to earn glory. Thirty years after the Northwind Highlanders switched sides from the Capellan Confederation to the Federated Suns in the Fourth Succession War, the Capellan Chancellor orders Loren Jaffray, an elite Death Commando and descendant of a Highlander, to sacrifice everything he is and everything he has to destroy the bonds between the Federated Commonwealth and the Highlanders, even if it means the Highlanders' destruction. Together with Alexander Carlyle, high ranking Gray Death Legion officer Davis McCall travels to his homeworld Caledonia and finds that the new planetary governor has created a gruesome terror regime. The Gray Death Legion, bound by contract to uphold law and order, is called in to suppress the brewing rebellion in what is actually a plot to place the Legion into a no-win situation. Lethal Heritage, reprint. Published September 1995. Blood Legacy, reprint. Published November 1995. Lost Destiny, reprint. Published December 1995. Stefan Amaris VII, a distant heir of Stefan Amaris, is building up a secret army in the Periphery to sow unrest, sending his units on terror attacks bearing false colors. A disparate group of operatives under the aegis of the Knights of the Inner Sphere is tasked with putting an end to his maraudings. Right after the Refusal War, Clan Jade Falcon attacks Coventry, which has the unintended side effect of uniting disparate elements of the Inner Sphere. Vlad of Clan Wolf attempts to rebuild his clan with political intrigue. Wolves on the Border, reprint. Published May 1996. Camacho's Caballeros are sent to Towne, where they find the planet split between support for the local Davionists, and the desire for stability among the Draconis Combine. Behind the Combine troops, however, are the Kokuryu-kai, a mysterious organization that wants to overthrow the Coordinator. Ruled to have broken their contract on Caledonia, their leader stripped of his landhold and titles, the ostensibly desperate Gray Death Legion hires out to their erstwhile enemy, the rebellious governor of Hesperus II. Under the guise of turncoats, they play a dangerous game of brinkmanship to bring Hesperus II back into the Lyran Alliance that culminates in a battle within the 'Mech factory itself. Heir to the Dragon, reprint. Published September 1996. Camacho's Caballeros are invited to Luthien to be honored for their work on Towne, only to begin to unravel a plot to kill the Coordinator. The Draconis Combine hires out the famous Northwind Highlanders for a daring mission into Clan space. 'Cat' Stirling and Loren Jaffray take the Stirling Fusilers to the planet of Wayside V deep behind Clan lines for a strike against Clan Smoke Jaguar's supply lines. The mercenary unit Avanti's Angels is hired by the Magistracy of Canopus to defend them against the Marian Hegemony—a conflict behind which lurks the Word of Blake. The Capellan Confederation, bent on recapturing their lost territories in what is now the Chaos March, sends Warrior House Hiritsu to conquer Kaifeng. While stranded behind enemy lines, Hiritsu Warrior Aris Sung learns of a traitor within House Hiritsu. A disillusioned Warrior from Clan Smoke Jaguar provides the Inner Sphere with the information and navigational data to strike at Huntress, the Smoke Jaguar capital world. The states of the Inner Sphere have reformed the Star League, and a multinational coalition task force is created to utterly destroy Clan Smoke Jaguar as a show of force. Under the command of Marshal of the Armies Morgan Hasek-Davion, Task Force Serpent sets out on the long voyage to Huntress, hoping to surprise and overwhelm the distant homeworld of Clan Smoke Jaguar and make the hunters become the hunted. Ordered to inspect a project of the science caste at a Clan Jade Falcon outpost on the Clan Smoke Jaguar world of Huntress, Star Captain Horse finds evidence of a secret cooperation between the Jade Falcon and Smoke Jaguar scientist castes. Warrior: En Garde, reprint ("10th anniversary edition"). Published April 1998. Warrior: Riposte, reprint ("10th anniversary edition"). Published June 1998. After the death of Marshal Morgan Hasek-Davion, Ariana Winston, the General in charge of the Eridani Light Horse, leads Task Force Serpent on. Even while they fight to neutralize Huntress, however, a new wave of Smoke Jaguar warriors is on its way back from the Inner Sphere, pushed out by Victor Steiner-Davion's Operation Bulldog. On Huntress, Task Force Serpent has dug in and is fighting a desperate defense while enraged Clan Smoke Jaguar troops flood the field, until Operation Hunter arrives and eradicates the last of the Smoke Jaguars. But then Victor Steiner-Davion reveals the true goal of their fight: Strana Mechty, the homeworld of the Clans, itself. Warrior: Coupé, reprint ("10th anniversary edition"). Published November 1998. Victor Steiner-Davion leads his battered forces to Strana Mechty and begins the bidding process for a Trial about the Clan invasion itself, to end it once and for all. His forces prevail, but Khan Vlad Ward of Clan Wolf lets off a parting shot as the coalition forces leave his homeworld: the Inner Sphere may not be as stable as when they left. Following in the footsteps of her father Aidan, freeborn Warrior Diana of Clan Jade Falcon competes for a bloodname. This not only alienates many in her own Clan, but pushes the Jade Falcons on the brink of war with the conservative Clan Steel Viper. Meanwhile, the coalition forces arrive back in the Inner Sphere, years after they left, and find it changed as Archon Katherine Steiner-Davion has ursurped the Federated Commonwealth and left her brother, Victor Steiner-Davion, without a throne. Thirty years after his aunt Candace split off from the Capellan Confederation and formed the St. Ives Compact, Chancellor Sun-Tzu Liao uses his powerful position of First Lord of the resurrected Star League to set a plan in motion that will allow his Confederation to reclaim the breakaway commonality. The conclusion of the long and bloody struggle to re-absorb the St. Ives Compact back into the Capellan Confederation. The noble Eridani Light Horse are deployed to the St. Ives Compact as Star League peacekeepers in the small nation's ongoing conflict with the Capellan Confederation. But the mission is a sham; First Lord Sun-Tzu Liao is not really seeking peace, but rather wants his Confederation to recapture St. Ives. On the game world of Solaris VII, the FedCom Civil War spills beyond grudge matches and out into the streets. In the FedCom Civil War, decorated war hero Archer Christifori takes up arms against Lyran oppression on Thorin. Around the beginning of the FedCom Civil War, Clan Nova Cat and the Draconis Combine forge an unlikely alliance. During the FedCom Civil War, the planetary militia on Kathil rises against the Lyran 8th FedCom RCT. Elemental Warrior Jake Kabrinski rises through the ranks of Clan Ghost Bear and fights in the Combine-Ghost Bear War. The FedCom Civil War builds up as Katherine Steiner-Davion and her brother Victor Steiner-Davion maneuver against each other. On Odessa, treachery pits Archer's Avengers against Snord's Irregulars during the FedCom Civil War. The FedCom Civil War gains momentum as Victor Steiner-Davion and Katherine Steiner-Davion continue their conflict. During the FedCom Civil War, Clan Jade Falcon attacks and seizes planets in the Lyran Alliance. Prince Victor Steiner-Davion sends Major General Archer Christifori to check the Clan advance by taking Clan worlds behind those recently captured. Prince Victor Steiner-Davion and his allies attempt to crush the Loyalists under Victor's sister, Katrina, and bring an end to the FedCom Civil War which culminates in the attack on Tharkad. The Legend of the Jade Phoenix, by Robert Thurston. Published October 2003. Omnibus reprint of the Jade Phoenix trilogy (Way of the Clans, Bloodname, and Falcon Guard). Beginning in 1999, Roc Books also launched a second novel line in the BattleTech universe under the "MechWarrior" moniker (not to be confused with the MechWarrior RPG or the later MechWarrior (Dark Age) setting, which had its own novel line as shown below). Unlike the other BattleTech novels, the MechWarrior novels were not meant to drive the plot of the BattleTech universe. Instead, they narrate stories of small units or individual characters that have no impact on the greater storyline. They are related only by theme, not by plot or character. Kore, a backwater mining world in the Periphery, is attacked by raiders. The tiny militia force is defeated, but one MechWarrior escapes and stumbles across the treasure the raiders are after: A small Clan 'Mech cache. The Stalking Bears, a newly formed Trinary, are sent to garrison the planet Toffen and defend it against an attack from Clan Wolf. After his brother was killed while fighting for Able's Aces, farmboy Harley Rassor joins the mercenary unit to find out what really happened. On Epsilon Eridani, a young militia warrior learns what it means to be a MechWarrior. Grayson Death Carlyle, the famous founder of the Gray Death Legion, passes away. His wife takes up the reins as the mercenary unit embark on their greatest challenge since their inception and return to Hesperus II to protect the facility during the ravages of the FedCom Civil War. On New Syrtis, the 8th Syrtis Fusiliers become entangled in the FedCom Civil War. Following the creation of the MechWarrior: Dark Age line and the subsequent renaming of the original line into "Classic BattleTech", Roc Books started another new novel line set in the Dark Age era, beginning in 3132 (roughly 100 years after the classic BattleTech/MechWarrior setting) from 2002 onwards under the "MechWarrior: Dark Age" moniker. Sam Donelly investigates a terrorist organization on the planets Helen and Basalt. Customs officer Raul Ortega must deal with a Steel Wolves attack on the planet Achernar, one of the few worlds with a working HPG station. War comes to Mirach, and the pacifistic governor wants none of it. His son Austin must take up the sword instead. The Steel Wolves, led by Anastasia Kerensky, assault Northwind. They are opposed by Tara Campbell and her Highlanders, as well as Paladin Ezekiel Crow. While Tara Campbell and Ezekiel Crow grow closer, Anastasia Kerensky makes another attempt on Northwind. Meanwhile, a dark secret threatens to unravel the alliance against the Steel Wolves. Twice repulsed from Northwind, Anastasia Kerensky leads her Steel Wolves to Terra, the capital of the Republic of the Sphere. Tara Campbell must not only stop the Wolf leader, but also confront a traitor closer to home. The planet Liao holds special significance to the Capellan Confederation and its ruling House Liao. Chancellor Daoshen Liao sends an agent to regain the planet from the Republic and resurrect a long-dead Warrior House. The mystery of the Betrayer of Liao is resolved. Duke Aaron Sandoval uses his nephew Erik to make alliances and oppose the Capellan advance into the Republic. When an unscrupulous businessman hires Hansen's Roughriders to help him conquer the planet Alkalurops, the determined natives must put their fate in the hands of a rag-tag group of mercenaries. Clan Jade Falcon enters the fray as the Hazen sibkin, Malvina and Alex, lead an incursion into the Republic. Their target: Skye. An unlikely alliance has arisen between the loyal Highlanders, the secessionist Stormhammers and the predatory Steel Wolves to protect the planet Skye against Clan Jade Falcon. Clan Sea Fox roams the spacelanes like interstellar gypsies, buying and selling at every world and living almost entirely on their enormous ArcShips and CargoShips. In the midst of his regular duties, ovKhan Petr Kalasa of Delta Aimag uncovers intrigue among his fellow merchants. The death of a legendary hero triggers further crisis in the Republic of the Sphere. With all of his fellow Paladins gathered on Terra to elect a new Exarch, Jonah Levin investigates the mystery behind this tragic murder and uncovers a conspiracy that could bring the Republic to the brink of destruction. ComStar once ruled the realm of interstellar communications throughout the Inner Sphere. Then came the Jihad, launched by a fanatical splinter group. The organization rebuilt, but the crash of the Hyperpulse Generator net nearly three years ago may just be the fatal blow for ComStar. One young Adept thinks he may have the answer to restoring communications, but will he be allowed to test his theory or will he become the pawn of warring factions? Strife continues to build in the Republic government and the new Exarch struggles to repair the damage. With dignitaries from across human space arriving to honor a fallen hero, Terra becomes a pressure cooker that may just explode and bring devastation to everyone. Katana Tormark was once a powerful figure in the Republic until the crash of the HPG system brought out her true allegiance. Now she conquers in the name of the Draconis Combine. But does Coordinator Vincent Kurita support or despise her? Clan Nova Cat is known for following their mystical visions, even when the path appears strange to outsiders. Led by the visions of the Mystic Caste, the Nova Cats take up an offer of alliance extended to them by Katana Tormark, now Warlord of Dieron. Will they take the opportunity to reconnect with their sundered brethren in the Republic? Or destroy them? With more and more threats appearing on his doorstep, Exarch Jonah Levin has a tough decision to make. Will his attempts to save the Republic doom it instead? Meanwhile, Julian Davion, stripped of his position as Prince's Champion, leads a multinational force against the Senatorial rebellion and Caleb Davion assumes control of the Federated Suns. The first body that turns up in Farway, a secluded town on the planet Denebola, is from out of town. When the Denebola Bureau of Investigation and the legate’s office from half the planet away decide to help identify the murder victim, Sheriff Hank Ketchum knows he’s in over his head. Enter the infamous Detective Jack Ramsey. With the help of the talented and beautiful local medical examiner, Amanda Slade, Ramsey digs into the case and discovers evidence that puts Farway at the heart of a conspiracy. But who’s the greater threat—the Clans, the Word of Blake or the legate’s intelligence operative? Raised among royalty in the Magistracy of Canopus, where the superiority of women is a cultural axiom, Danai Liao-Centrella possesses all the confidence necessary for her to ascend through the confederacy ranks, despite having to contend with the constant machinations of her maniacal brother, Daoshen. But when her latest mission ends in defeat and personal disgrace, Danai will face the greatest challenge of her life. Chancellor Daoshen rewards her failure by giving her a battalion of her own and a brand-new battlefield. And Danai is about to learn that in service to the state, even family comes second to safeguarding the Capellan Confederation. Anastasia Kerensky has declared the Steel Wolf Clan to be mercenaries, re-christening them Wolf Hunters. The combination of autonomy and wealth will make them more than a match for any MechWarrior battalion suicidal enough to challenge them. But the real challenge comes from within the Clan. Star Colonel Varnoff believes Kerensky has betrayed them all—and with a loyal faction of Steel Wolves at his side vows to destroy all the Wolf Hunters. They are the Fidelis, a brotherhood of warriors whose devotion to honor and courage on the battlefield is unmatched. Their existence known only to a former exarch, they are a fighting force to be reckoned with—a force of three knights must consider as they undertake missions that could save the Republic... or cripple it. When several planets are left to fend for themselves, becoming pawns in a deadly game of territorial sovereignty, Katana Tormark, a warlord of Dieron, must join forces with the Combine's coordinator to gain control of these worlds and reestablish the historic Dieron Military district. Clan Wolf decides to pick up and move halfway across the Inner Sphere. How will this decision affect Alaric Wolf (an adopted warrior whose parentage is surprising), Anastasia Kerensky (one-time leader of the Steel Wolves, now commander of the mercenary Wolf Hunters), and Verena (a Clan Wolf-in-Exile warrior who was tossed out of the Steel Wolves by Anastasia)? Within Clan Jade Falcon, Malvina Hazen begins a civil war against Khan Jana Pryde. Following the sundering of the Free Worlds League in 3069, three contenders for the throne of the Captain-General vie for supremacy. A MechWarrior without peer, Thaddeus Marik has become the figurehead for a new community of worlds attempting to resurrect the Free Worlds League. After defeating a Lyran invasion on the planet of Savannah and negotiating a successful alliance with the Protectorate Coalition, Marik must now ally himself with Jessica Halas-Hughes Marik if the new league is to have a chance. No Limits, by Nigel Findley. Published May 1996. A non-canonical crossover novel that was published under the "Virtual Worlds" moniker (and not as a BattleTech novel). By means of a secret technology, the protagonist travels from the real world to virtual (or alternate) realities and ends up in the BattleTech universe. Catalyst Game Labs, an imprint of InMediaRes (who operate the BattleCorps online portal to publish new BattleTech fiction in electronic format) and the current holder of the BattleTech IP, always wanted to continue the novel lines but faced unspecified problems; the print novel A Bonfire of Worlds was originally slated for a November 2008 release but failed to materialize so far, though it was released in electronic format in 2009. CGL published several print anthologies and an anniversary book containing art and several short stories. In 2015, they resumed the publication of new BattleTech books. BattleTech: 25 Years of Art and Fiction, published October 2009. Anniversary book in large 8.4 x 6.8 inches "coffeetable format" to celebrate BattleTech's 25th birthday. Includes 17 short stories, plus art and general information on the universe and the franchise. Following their success of the subscription-based online BattleTech fiction portal, BattleCorps, CGL began publishing print anthologies of BattleCorps stories. Each anthology includes a selection of BattleCorps stories that had previously been published online (most of them typically in one particular year), plus one hitherto unpublished, all-new short story. The Corps (BattleCorps Anthology 1). Published May 2008. 18 short stories; except for an all-new one, all had been published online on BattleCorps throughout 2004 (one is a multi-part serial that had its first two parts published in 2003 already to advertise the BattleCorps site). First Strike (BattleCorps Compilation vol 2). Published December 2010. 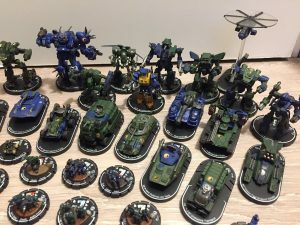 18 short stories; except for an all-new one, all had been published online on BattleCorps throughout (mostly) 2005, with three stories from 2004 and one from 2006. Weapons Free (BattleCorps Anthology 3). Published in electronic format in June 2012, and in print in September 2012. 16 short stories; except for an all-new one, most had been published online on BattleCorps throughout 2006 (and one in 2005). Fire for Effect (BattleCorps Anthology 4). Published in electronic format in August 2013, and in print in September 2013. 17 short stories; except for an all-new one, all had been published online on BattleCorps throughout 2007. Includes the entire Case White series. Counterattack (BattleCorps Anthology Volume 5). Published in electronic format and in print in August 2014 (at Gencon). 13 short stories; except for an all-new one, all had been published online on BattleCorps throughout 2008. Front Lines (BattleCorps Anthology Vol. 6). Published in print and electronically in August 2016 (at Gencon). 10 short stories; except for an all-new one, all had been published online on BattleCorps throughout 2009. Legacy, an anthology of stories by various authors. Published 2017. Timeline: 2779-3090. Although subtitled as an anthology, the thirteen stories together form an overarching narrative of the history of one individual BattleMech—a Grasshopper—across three centuries of conflicts. The Stealthy Tigers mercenary unit find themselves embroiled in the conflict against the Word of Blake on Hall. Clan Wolverine, the "Not-named Clan", was destroyed with extreme prejudice. The Clans will not openly speak of what happened, and remain largely unawares that their historical records were falsified to conceal the truth: Nicholas Kerensky was readily prepared to spill the blood of friend and foe alike to create and guide his artificial society with an iron fist, and was not quite the saint the Clans want to remember him as. A group of cadets from the Free Worlds League find themselves in a bloody shooting war after their DropShip is hijacked by ruthless mercenaries from the Lyran Alliance. Print edition of a BattleCorps story first published in 2012-2013. Originally conceived as the entry novel into the Jihad era, the book remained unfinished for a decade when ROC decided not to continue the classic print novel line. The parts that had already been written were published in various other products as intro fiction, and also as a BattleCorps serial. A novelization of the eponymous Case White, ComStar's ill-fated attempt to re-conquer Terra from the Word of Blake. A collection of three shorter stories about the exploits of the Kell Hounds mercenaries. Continuation of the Dark Age novel line: The failure of interstellar communications threatens civilization across the breadth of the Inner Sphere. Risking everything on one last chance for survival, ComStar kidnaps engineering genius Tucker Harwell who unravels the Blackout’s greatest mystery. Among the Clans, Khan Malvina Hazen of the Jade Falcons hunts for the next enemy to crush beneath her brutal Mongol Doctrine, and the warrior Alaric Wolf makes his move into the halls of power. Plans years in the making come together across hundreds of star systems. Secrets hidden for decades will finally be revealed. While an empire goes up in flames. A Splinter of Hope & The Anvil Omnibus, Omnibuss printed limited edition 2018, available Print-On-Demand 2019. The book consists of two Novellas; From Philip A. Lee (A Splinter of Hope); Set in 3147, the Federated Suns liberation of New Syrtis and The_Anvil by Blaine Lee Pardoe; Set in 3148, the story of Clan Jade Falcon Galaxy Commander Stephanie Chistu's attempt to take take Coventry from the Lyran Commonwealth. Clan Smoke Jaguar, one of the most fearsome of Kerensky's Clan has been destroyed at the hand of Victor Steiner-Davion, forces of the Second Star League, and a man known as a traitor, Trent. Set time of the Trial of the Great Refusal, Forever Faithful tells the story of the survivors of the once great clan and how they became the mysterious group known as the Fidelis. The following list only includes original novels, i.e. those that were not translated from english-language novels; see also List of German BattleTech novels for a complete list. German editions of classic BattleTech novels and most of the Dark Age novels were published by Heyne, a major publishing house in Germany. Many of these German editions have different covers from their American originals, or have swapped them around. In addition to translating individual american novels and publishing an omnibus reprint of three previously published "MechWarrior" novels, Heyne published an original German novel (Phoenix, #52) and a universe almanach (Die Welt des 31. Jahrhunderts). Although it was not originally part of the BattleTech novel line, the "Virtual Worlds" novel No Limits was translated and published in Germany as a BattleTech novel by Heyne as #35: Höhenflug. #50: MechWarrior (also referred to as the MechWarrior Trilogy in listings). Published 2001. Omnibus reprint of the MechWarrior novels Väterchen Frost, Triumphgebrüll and Blutsverrat (Ghost of Winter, Roar of Honor and By Blood Betrayed, respectively). Waiting on Tomans for an impending Clan attack, mercenaries recount stories from two decades earlier and narrate how they defended Amity against an attack by the Lyran Commonwealth. Die Welt des 31. Jahrhunderts ("The World of the 31st Century"), by Reinhold H. Mai and Christoph Nick. Published December 2002. A generic introduction to and overview of the BattleTech universe, produced alongside the novel line but not as a part of it. Fantasy Productions GmbH licensed the complete rights to BattleTech, now rebranded "Classic BattleTech", from WizKids and started a new German novel line in 2004 under the "Classic BattleTech" moniker that included mostly new, original stories (and a reprint of The Sword and the Dagger and the Warrior trilogy otherwise). First book of the Das Goldene Zeitalter cycle. During a training excercise on Icar in the Rim Worlds Republic, a Royal Black Watch company is caught up in a political intrigue that erupts into battle. First part of the Founding of the Clans trilogy that was written in English, but translated and published in German before being published in English (via BattleCorps). English title: Founding of the Clans: Fall from Glory. The story of Aleksandr Kerensky's Operation Exodus, from the time the SLDF fleet leaves the Inner Sphere through the Prinz Eugen mutiny until their Exodus Civil War sixteen years after setting out. Second book of the Das Goldene Zeitalter cycle. An agent thriller set in the Star League era with plot twist revealing that First Lord Ian Cameron was not above abusing the League's secret service for assassinations motivated by personal revenge. Second part of the Founding of the Clans trilogy. Announced English title: Founding of the Clans: Visions of Rebirth (unpublished so far). After the refugees from the Second Exodus set up on Strana Mechty, Nicholas Kerensky reforges them into a rigid new society centered around a small but elite Warrior caste in an attempt to shed the rivalries that sundered first the Star League. Thus the Clans are created, and the book ends with Nicholas declaring himself ilKhan and announcing their return to the Pentagon worlds to reconquer them. Declared a fictional story within the fictional BattleTech universe, the novel relates the efforts of the eponymous Team Albatros, a quartet of Lyran Intelligence Corps agents, to stop a rogue Archonet. It turns out that said Archonet has a secret weapon causing what is called the "Albatross effect": It can disable BattleMechs by remotely destroying their gyro systems. Third book of the Das Goldene Zeitalter cycle. A sect leader sets a clandestine operation in motion to abduct a scion of the ruling Captain-General of the Free Worlds League on Tamarind. A handful of officers uncover the plot and, together with a group of BattleMech enthusiasts and their custom-built Clint, prepare to thwart the attempt. First book of the Bear Cycle. George, a Nova Cat warrior taken as isorla by Clan Ghost Bear, is sent to the Inner Sphere to fight bandits in the truce period following the Battle of Tukayyid. Second book of the Bear Cycle. Now something of a ristar in Clan Ghost Bear, George begins to wonder about the almost suicidal attacks of Inner Sphere opponents against the ostensibly unimportant HPG station on Mannedorf's north pole. His investigations, an uncharacteristic display of initiative for a Warrior, gradually reveal clandestine operations by the Clan Watch that do not sit well with him: It seems the Watch is stirring up the very troubles George and his comrades are fighting and dying to contain. Third book of the Bear Cycle. Captured by mercenaries (at the end of the previous book), George fights alongside his captors when they are stranded on the Clan Smoke Jaguar-held world of Kiamba. Their ways are alien and appalling to him, but without the mercenaries he has no chance to leave the world again and so he plays along with their dishonorable scheme to dupe the planet's population into a hopeless and bloody uprising against the Smoke Jaguars that will allow mercenaries prepare their escape in the overall chaos. Fifth book of the Das Goldene Zeitalter cycle and first part of the (unfinished) Schattenkrieg series. Prince Alexander Davion is assassinated. Secret service head Susan McEvedy takes it personal. She keeps the cause of death secret and starts an increasingly ruthless investigation into the case that escalates into a clandestine cold war with the Draconis Combine. Opposing her is cold and efficient ISF officer Tetsuo Yatomo who is trying to contain the fallout. Following a sneak attack on their garrison base that only they survived, hot-headed MechWarrior Mad Dog and disciplined Elemental Shin find out that their mercenary unit unwittingly guarded a Star League bunker containing nuclear weapons which Free Skye terrorists have now stolen. Together with an impoverished former ComStar tech and a mysterious rogue the two women set out to thwart the terrorists' plans and retake the bombs. At the onset of the Fourth Succession War, rogue elements of the Duchy of Andurien stage a raid on Niomede, a world of the supposedly allied Capellan Confederation. But their target, a hidden research facility on Niomede, is guarded not only by the understrength local militia lance, but also by Warrior House Kamata. Sixth book of the Das Goldene Zeitalter cycle. After a Kurita attack destroys their base on McGehee amidst political upheaval, surviving soldiers of the 27th Avalon Hussars take to guerrilla warfare to prevent the enemy from using the world as a staging area. FanPro had planned to publish several more novels in their Classic BattleTech line including Wiege der Basilisken and additional books for the Golden Age cycle by Diehl and Möbis, but then ceased production following a disagreement with InMediaRes/Catalyst Game Labs in 2008 over whether or not FanPro still had the rights to publish new German BattleTech novels. After FanPro's license had run out in 2008, Ulisses Spiele acquired the license to publish the German edition of BattleTech including the novel lines. In 2011 they picked up the "Classic BattleTech" novel line, although it was renamed to simply "BattleTech" once again (with tan background), and also the "MechWarrior: Dark Age" line (with black background). They continued both lines from where FanPro and Heyne had left off, keeping the numbering. In another story that is declared fictional within the BattleTech universe, the Lyran Commonwealth activates Team Albatros once more, this time to investigate Federated Suns research into super soldiers on the world Berceuse; however, a Draconis Combine DEST team has also arrived with the same orders. After long preparation, the Duchy of Andurien under Dame Catherine Humphreys secedes from the Free Worlds League to vie for independence. Meanwhile Jen Xiao enrolls for Death Commando training and the Ash Witch cult spreads throughout the Capellan Confederation. Percieving the Capellan Confederation to lie in its death throes, the Duchy of Andurien invades but finds much stronger resistance than expected. On Grand Base, the war is fought on many fronts and the offensive by the 6th Defenders of Andurien stalls. Fourth part of the Bear Cycle. Stranded below the Tukayyid truce line and alone after his parent unit was effectively wiped out by a nefarious employer, Clan warrior George must adjust to a life as a mercenary in the Inner Sphere. However, against incompetent or arrogant superior officers, even George's expert warrior skills cannot save a poorly led first mission on Cor Caroli from ending in near-disaster. Irregular Lyran Alliance forces stage a raid against Arc-Royal, the heart of the Arc-Royal Defense Cordon, hoping for a decapitation strike. The disparate defenders—Kell Hounds mercenaries and elements from Clan Wolf-in-Exile—have a chance to repulse the attack only if they cooperate. But they find it difficult to work with each other. Fifth part of the Bear Cycle. Growing his own mercenary unit, the Biting Bears Bashes, George Bear is very successful on the battlefield but hindered by administrative pitfalls as well as his Clan mindset. After some successful missions in the Chaos March, a supposed pirate hunting contract on Saiph gets out of hand and George finds himself involved in a corporate warfare scenario threatening to ruin the entire planet including their employer—and thus by extension, George and his mercenary unit. In the lead-up to the secession of the Duchy of Andurien and their joint assault on the Capellan Confederation together with the Magistracy of Canopus, Dame Humphreys' son Richard Humphreys is sent to the Magistracy to marry the Magestrix's daughter, Emma Centrella, and thus tie the Magistracy to the Duchy in wedlock. Official media will later report the wedding fell through because of a mutual dislike between Emma and Richard, but in truth their story in the brewing war is much more complicated than that. Sixth and final part of the Bear Cycle. Ruled to have broken their contract through their actions on Saiph, George and his Biting Bears Bashes fall on hard times and have to accept bad or even outright illegal contracts. Draconis Combine middle men hire them for an objective raid against the Word of Blake on Mars that succeeds beyond all expectations, but afterwards their employer sets the Biting Bears Bashes up to be killed to cover their tracks and George suddenly finds himself and his unit fighting a guerrilla war for survival on a supposed garrison posting. Specialized in infiltration and commando actions, the Silent Reapers mercenary unit are framed by a treacherous employer and subsequently branded as criminals. They go to ground and, while trying to find out what happened and why, start to work for the Word of Blake, the only faction who will still hire them. The eruption of the Jihad and news of the atrocities attributed to the Word of Blake make them wary of their new employer, however; the Silent Reapers find themselves between a rock and a hard place. The conquest of Pleione during the Fourth Succession War: The Federated Suns sent the mercenary Screaming Eagles to attack the world in overwhelming numbers, but a small number of Capellan defenders have holed up in an ancient Star League fortification and reactivated its heavy artillery guns, creating a standoff and upsetting the attackers' timetable. The world Cammal has been without a duke since the last was killed in the Fourth Succession War. Various parties have since filled the power vacuum. After more than two decades, a law firm tracks down a legitimate heir to assume the throne. But instead of unifying the world it just serves to fan the flames of intrigues and old hatreds. The political situation on Cammal is deliberately destabilized from behind the scenes, with the Youngblood Renegades mercenaries in the middle of it all. Second part of the Adel vernichtet duology. With the bulk of their unit deployed abroad, the Youngblood Renegades mercenaries struggle to maintain control as civil unrest grows on Cammal and explodes into combat among various factions, with loyalties torn between different camps. Caught up in the Amaris coup, Major Gerald McKenniston, formerly of the SLDF and now an instructor for Amaris troops on Terra, faces hard decisions as General Kerensky's forces tighten their grip on the remnant of the Amaris Empire, drawing ever nearer to Terra. Accused of having tried to kill a Wolf's Dragoons officer on Outreach, Griskan Orlov tries to prove his innocence and uncovers a conspiracy within the Dragoons. He goes undercover to investigate Blackwell Industries and runs afoul of one of Harlech's most powerful underworld kingpins. Sequel to Sturm auf Arc-Royal: After the final battle on Tharkad that concluded the FedCom Civil War, and following the ill-fated attack by irregular forces on Arc-Royal in which he was deeply involved, Hans Grüner escapes Tharkad City to set up his own periphery realm. But the Kell Hounds and Clan Wolf-in-Exile are on his trail to bring him to justice. 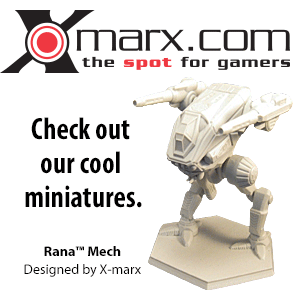 A desperate MechWarrior finds employment with mercenary units working for the Word of Blake. Griskan Orlov winds up in the sneak attack against Wolf's Dragoons on Outreach. Berserkerbanden ("Berserker Gangs") by Lars Jirmann. Published in October 2005. The exploits of a very top-heavy mercenary unit with cutting-edge equipment and elite personnell, some of them of Clan origin. An unauthorized and entirely non-canonical print publication that was quickly pulled from the market; amounts to mere fan fiction. This page was last edited on 13 April 2019, at 23:51.